More and more of our customers are learning to appreciate the advantages to renting some of their equipment, instead of burdening themselves with the cost of ownership. For commercial janitorial equipment that only sees service rarely, renting can be the very best approach.It’s a good approach for several reasons including: no storage space is required; no service is required; no wearable parts require replacement; no pre-storage or post-storage protocols are involved – and all that saves a lot of time – and money! 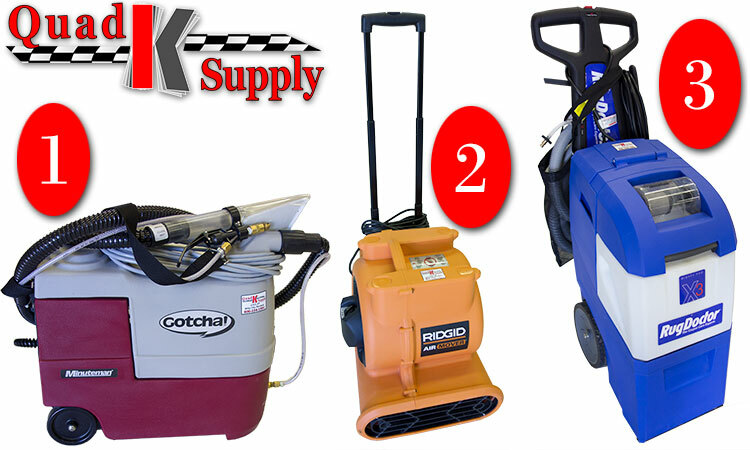 Quad K Supply rents premium quality janitorial equipment by the day, the week or the month. Call us if you need janitorial equipment, which we’ll gladly deliver and pickup. We’ll also help you select the right supplies in the right amounts for you current task(s). 1 – This Low-Speed Floor Scrubber/Stripper rents for $20 per day. 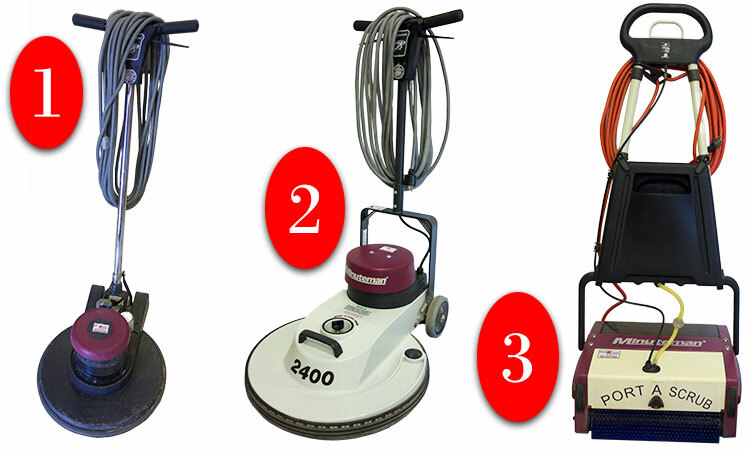 2 – This High-Speed Floor Scrubber/Buffer machine rents for $20 per day. 3 – This Floor Scrubber machine rents for $30 per day. 1 – This Automotive & Commercial Extractor rents for $25 per day. 2 – This Commercial Floor Dryer/Air Mover rents for $10 per day. 3 – This Rug Doctor Commercial Carpet Cleaner rents for $20 per day.